Stitch up this cute block of the month for the holidays! 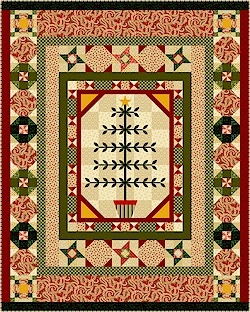 Monthly kits include fabric and pattern. This is a 6 month BOM. Final kit includes binding. Your card will be charged for the first month only, then every month you will receive the next block. Finished quilt is 56"x70"